A great movie’s first few minutes provide the key to the rest of the film. Like the opening paragraphs of a novel, they draw the viewer in, setting up the thematic concerns and stylistic approach that will be developed over the course of the narrative. A strong opening sequence leads the viewer to trust the filmmakers. Other times, opening shots are intentionally misleading as they invite alert, active participation with the film. In Cinematic Overtures, Annette Insdorf discusses the opening sequence so that viewers turn first impressions into deeper understanding of cinematic technique. From Joe Gillis’s voice-over in "Sunset Boulevard" as he lies dead in a swimming pool to the hallucinatory opening of "Apocalypse Now," from the stream-of-consciousness montage as found in Hiroshima, mon amour to the slowly unfolding beginning of "Schindler’s List," Cinematic Overtures analyzes opening shots from a range of Hollywood as well as international films. Insdorf pays close attention to how the viewer makes sense of these scenes and the cinematic world they are about to enter. Including dozens of frame enlargements that illustrate the strategies of opening scenes, Insdorf also examines how films explore and sometimes critique the power of the camera’s gaze. Along with analyses of opening scenes, the book offers a series of revelatory and surprising readings of individual films by some of the leading directors of the past seventy-five years. Erudite but accessible, Cinematic Overtures will lead film scholars and ardent movie fans alike to greater attentiveness to those fleeting opening moments. 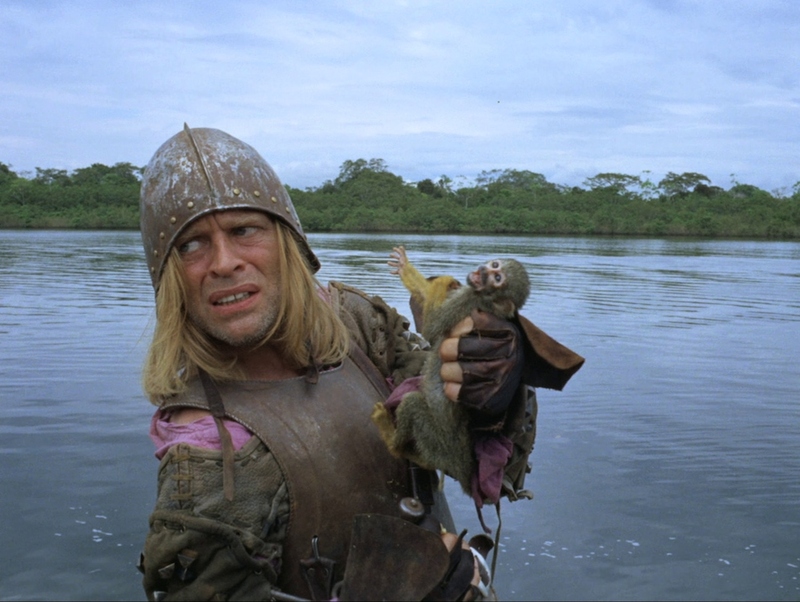 On Werner Herzog's "Aguirre, the Wrath of God"
On Elem Klimov's "Come and See"
Nature endures and regenerates whether humans act nobly or destructively. In fact, a film released the same year, Claude Lanzmann’s “Shoah,” is also anchored in landscapes that no longer reflect the wartime horrors they witnessed forty years earlier. Whereas Roger Ebert interpreted the final scene of “Come and See” as a fantasy—“the Mozart descends into the film like a deus ex machina, to lift us from its despair. We can accept it if we want, but it changes nothing. It is like an ironic taunt”[i]—Klimov might be elevating the frame to a pantheistic vision of the universe. The last word we hear from the choral voices of Mozart’s “Requiem” is Amen." On Milcho Manchevski's "Before the Rain"
Cinematic Overtures: How to Read Opening Scenes will be available for purchase in November 2017. Next Article: Hugh Hefner: Memories of a Legend Previous Article: One Life, Furnished in Early Geekery: Harlan Ellison and "The Twilight Zone"